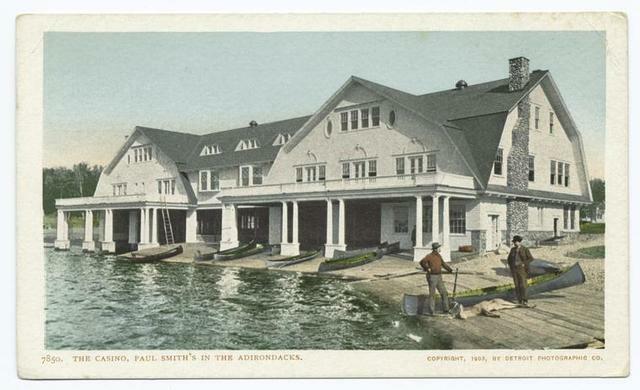 Boat House, at Paul Smith's, Adirondacks. 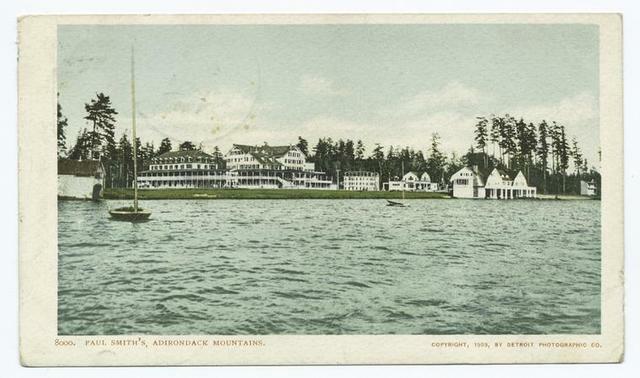 Paul Smith's Adirondack Mountains, N. Y.
Paul Smith's, St. Regis Lake. 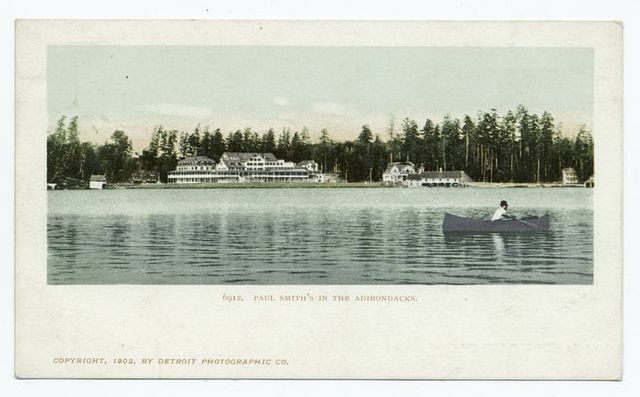 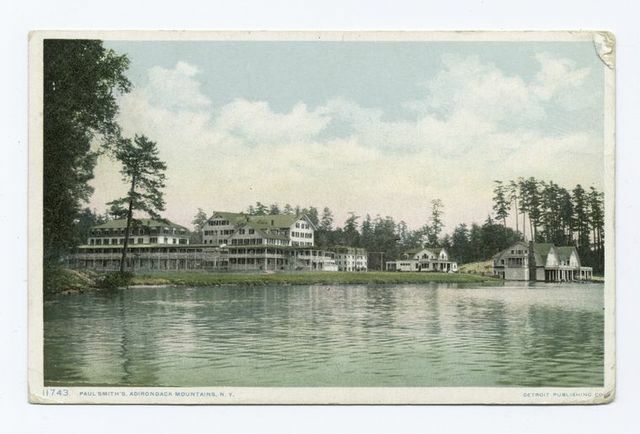 Paul Smiths, Adirondacks, N. Y.
Paul Smith's Casino, Lower St. Regis Lakes. 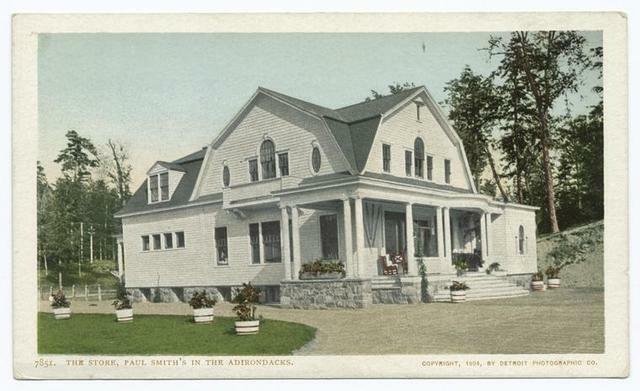 N. Y.
Paul Smith's Store, Lower St. Regis Lakes. 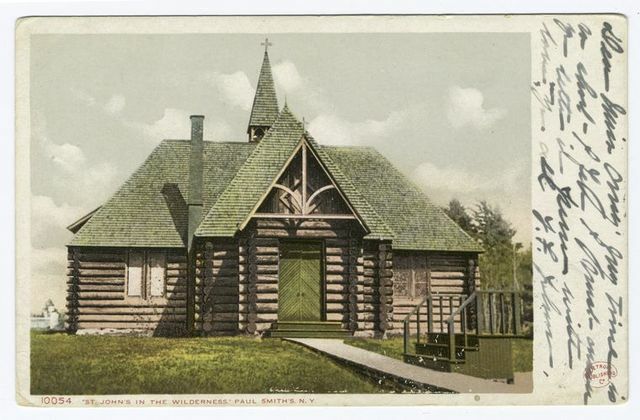 N. Y.